Valentine’s Day is a great opportunity to show your special someone how much you care. 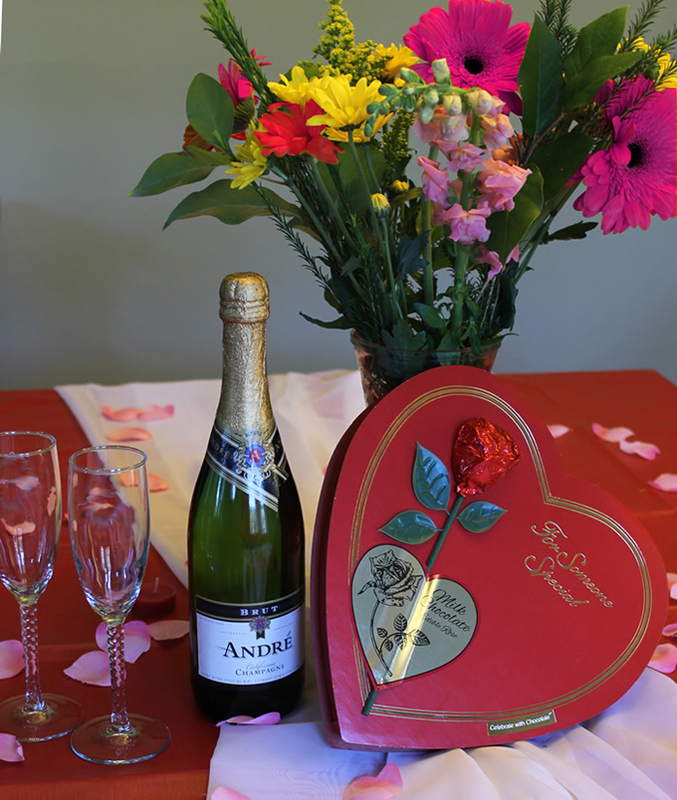 While thousands of people purchase fancy jewelry and pack into expensive restaurants, many have found that the best and most memorable Valentine’s Day can be spent in the comfort and privacy of your own home. Here are the top 5 tried and true ways to create a very special evening at home. Set your dining table in Valentine’s Day style. 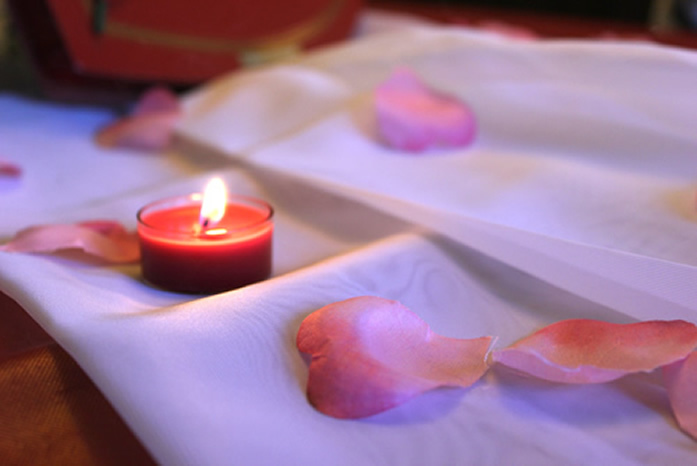 Use a red table cloth, sprinkle some rose petals, and make sure to light the candles! This will provide a romantic and cozy feel to your special evening. Put some nice music on low for background noise! Your gifts don’t have to be extravagant to be special! Pick out simple and sincere gifts like a lovely bouquet of flowers and his or her favorite chocolates. 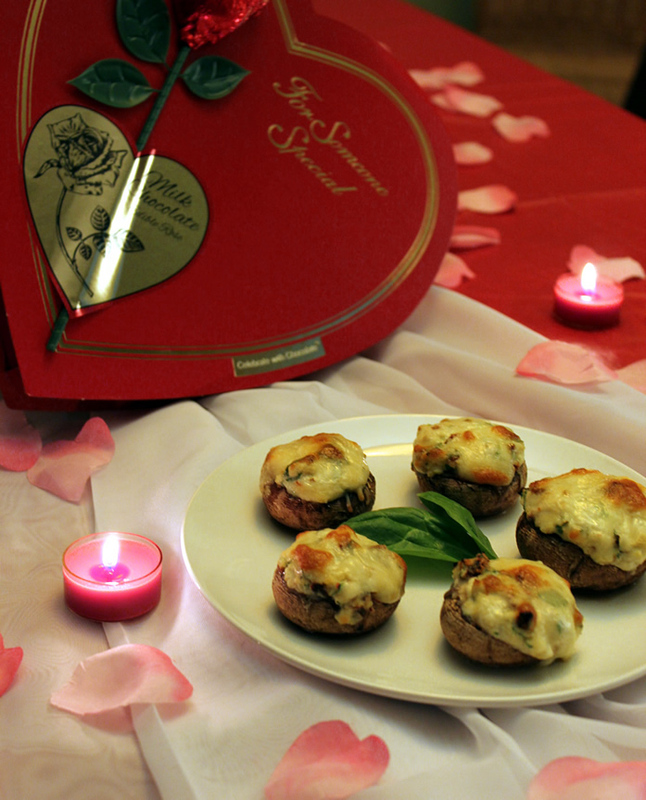 Display them in the middle of your beautifully decorated dinner table to add to the wonderful Valentine’s Day ambiance. Your Valentine’s Day meal will be one of the most important events of the evening. Not only are these extremely easy to make, they are out-of-this-world delicious! Preheat oven to 450°F. In a medium bowl mix ricotta, feta, chopped garlic, pepper, spinach & sun-dried tomatoes. Remove and discard mushroom stems, brush mushroom caps with oil, and arrange on a baking sheet stems side up. 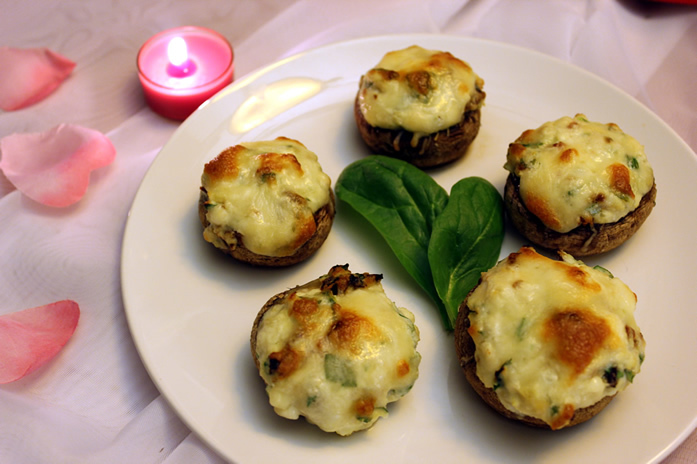 Fill mushroom caps with cheese mixture and top with parmesan cheese. Cook in oven for 8 minutes. Peel potatoes, chop into quarters and bring to a boil in a saucepan. Once soft, drain water and add milk, sour cream, butter, garlic and salt. Blend to desired consistency. (Cover your mashed potatoes to keep them warm while cooking your asparagus and steaks). Lightly season your steaks with your choice of seasoning. You will want to allow them to warm to room temperature before cooking. 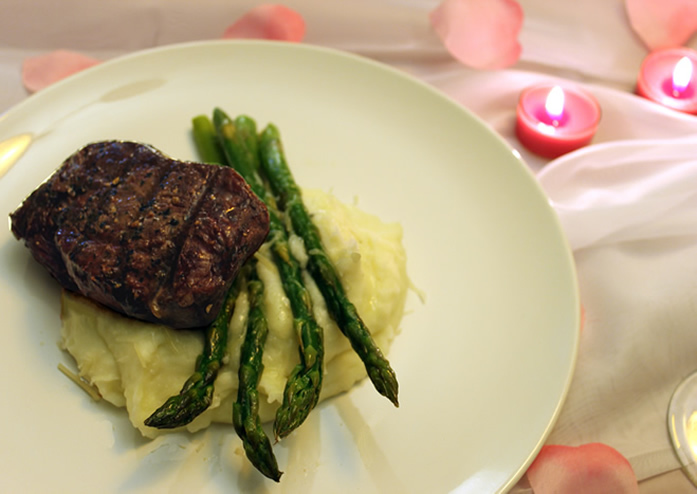 Filet mignon is best cooked quickly with direct heat, such as grilling or pan-frying. Once your steak is to room temperature, throw them on your grill or in your pan until cooked to your preferred temperature. While your steak is cooking, chop the ends off your asparagus and sauté in a frying pan with olive oil and a pinch of salt. Chocolate dipped strawberries are delicious and commonly available at most grocery store bakeries or specialty bakeries in your area. Pick up a half dozen to top off your romantic Valentine’s Day meal in decadence & in the hot tub! 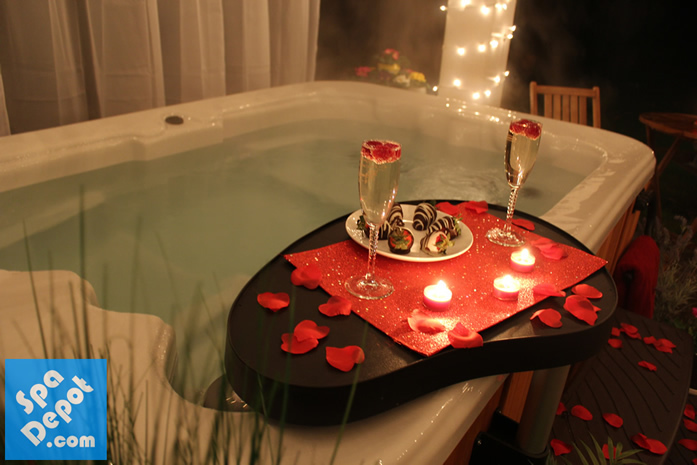 Finish up the evening by taking a relaxing soak in your hot tub or draw a hot bubble bath! Prepare the area ahead of time by sprinkling rose petals and lighting candles. Enhance your soaking experience even more by adding aromatherapy to your hot tub or bath, and treat your date to a massage! 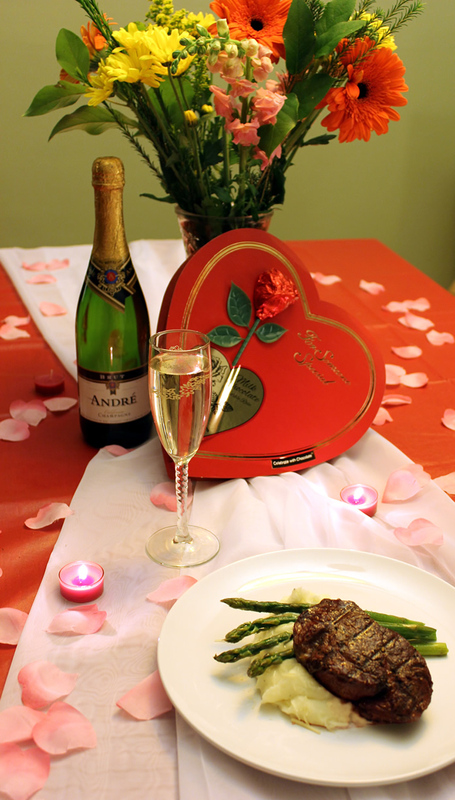 Do you have any questions or tips to share on how to make Valentine’s Day special at home? Comment below! How to Properly Store Hot Tub Chemicals + 4 Nifty Organization Ideas!